I’m not sure anything is more iconic, here, than the street signs. Blue. Usually ornate. Most commonly with a sans-serif font enhanced by a slight, clean, white linear drop shadow. 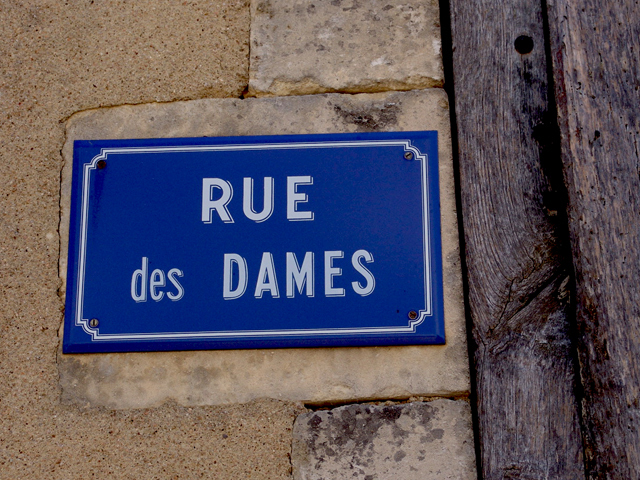 When I take my walks, I invent stories for the signs I see, filling in the blanks started by such words as dames, soeurs, neuve. Ladies Street, but which ladies? 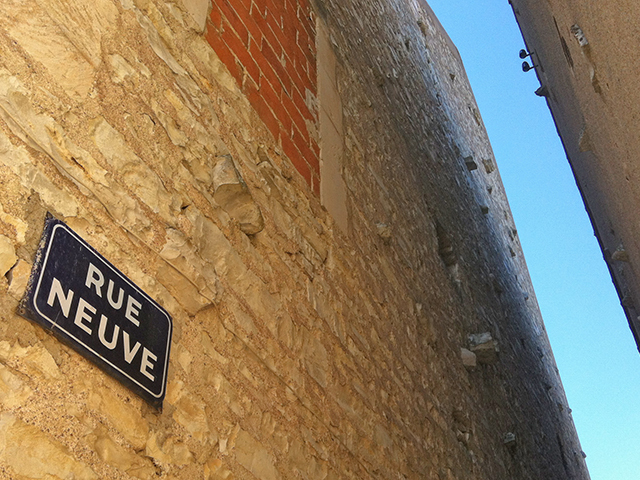 Sisters Street, but which sisters and what virtue or misdemeanor were they known for? Were they great beauties? Were they criminals? And, excuse me, but Rue Neuve, New Street, looks utterly ancient. Ancient. Some sit gracefully under branches heavy with maturing plums or window boxes with draping geraniums. Others are nothing more than functional. Some are practically hidden from view, posted on streets so narrow, you forget to look up as you squeeze between the walls that flank you on either side. 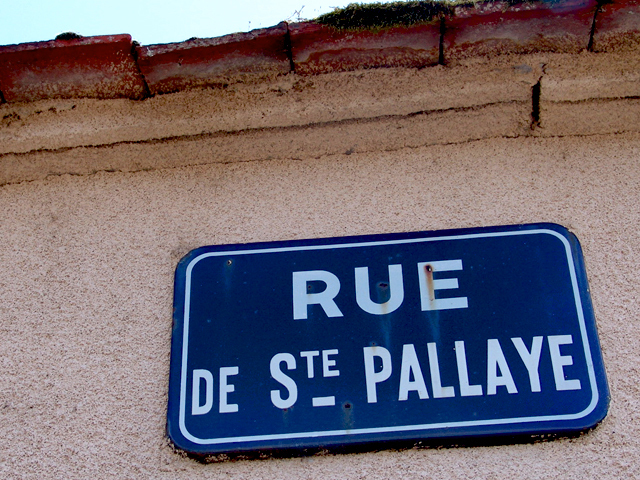 Some describe a location, destination or feature connected to the street itself. Others describe the street’s function. Some name abstract concepts. Some name names. But most leave much to the imagination. Or, if our French were lacking, as mine really, truly is, we could misconstrue the meaning entirely in French, and make do with the English verb. Here’s mine. 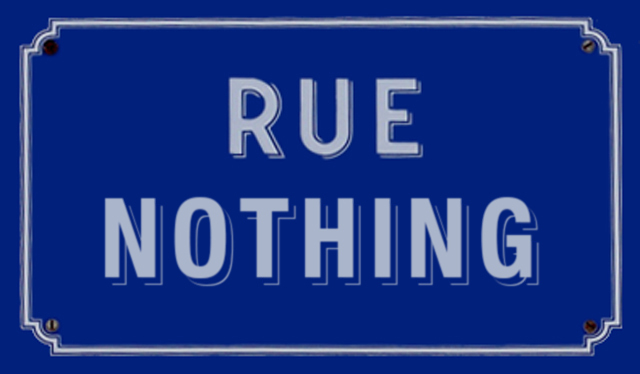 Rue Nothing. No regrets. 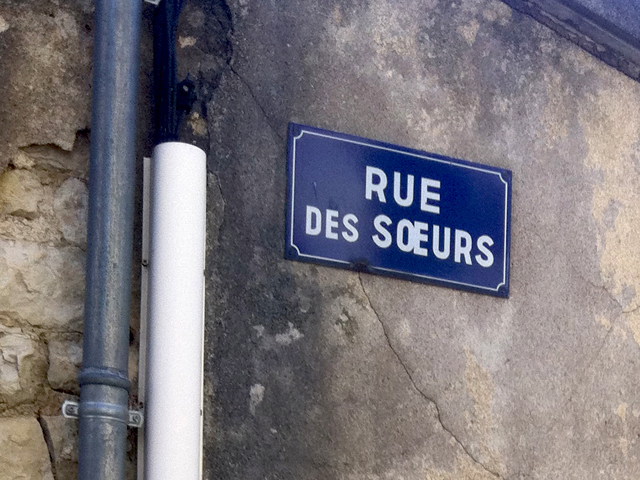 Now, that’s the street for me to follow! What’s yours? This entry was posted in AROUND US, FRANCE and tagged alphabet, Blue, names, rue, rue des dames, rue des soeurs, street signs, your sign. Bookmark the permalink. 6 Responses to What sign are you? Thank You again for brightening my day. I was also fascinated by the beautiful clocks in the train stations in Munich..
For me,it is all so visually uplifting! 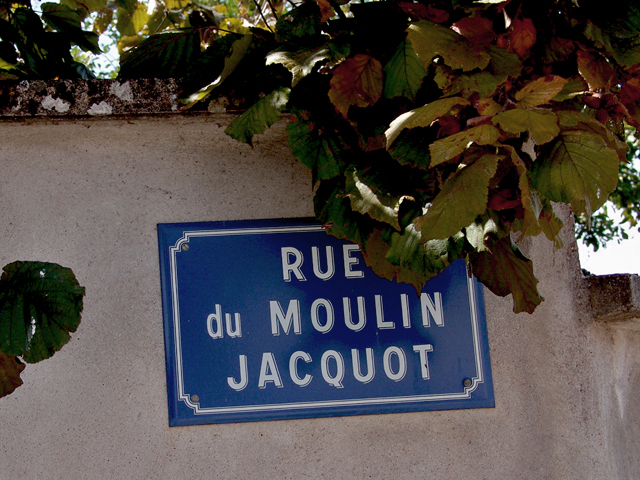 How lovely and clever to think of the stories behind the street signs…..mine would have to be something about reading, writing, cooking, teaching, drama, theatre, garden,pets friends and family….not in any order except family first….it would be long like the signs in Wales…..or maybe just Rue de la Artsy …..
Rue de la Artsy is funny. And your website is where Embarrassment Street crosses Freedom Boulevard. Embarrassment street is full of good stories. 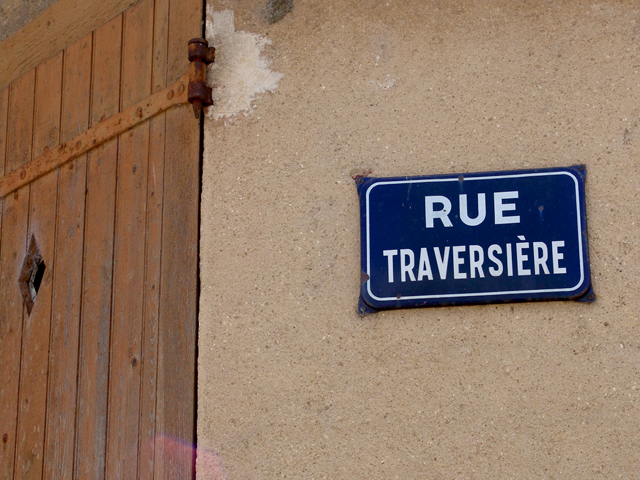 French signs are very cool, great photographs!